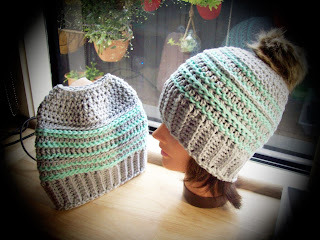 The play ground hat is loads of fun to make, it's full of texture that is made with st's you are already familiar with. Don't be afraid of making this hat, it's easier than it looks! The size we are making here is a medium size, but you can adjust the size of your hat, I have detailed instructions over here in another free crochet hat pattern. 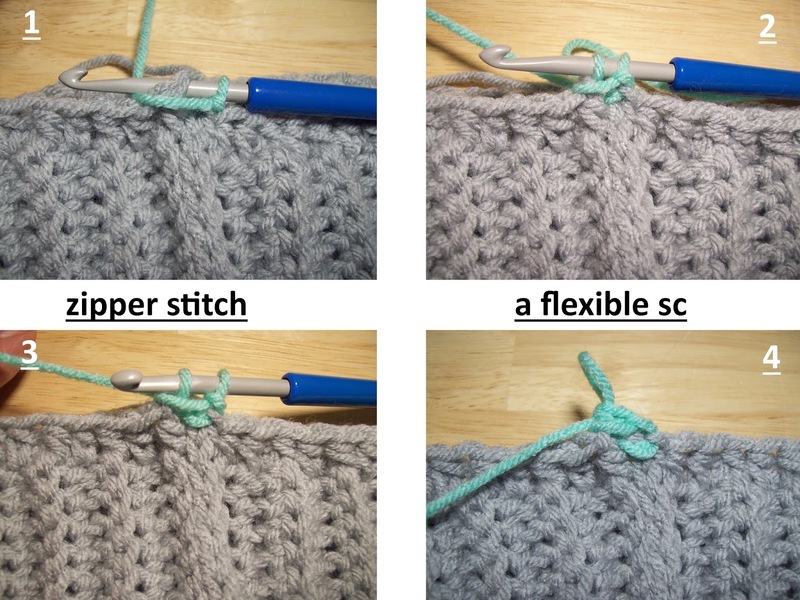 yif sc = yarn in front sc, I'm also going to refer to this method as the zipper single crochet. Bead stitch = make a dc, turn your dc side ways, work a 3 wrap cluster around the double crochet = yarn over hook, insert hook under the dc, pull up a loop, leaving all loops on hook, repeat 2 more times, 7 loops on hook, yarn over hook pull through 6 of those loops, you now have 2 loops on hook, yarn over and pull through 2 loops on hook. 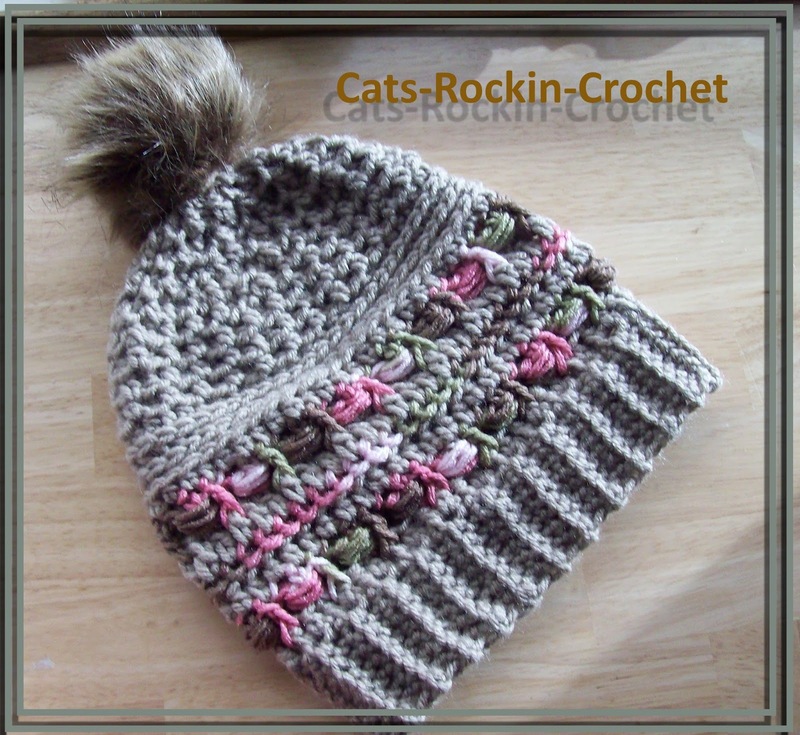 1 bead stitch made. continue working row 2 until you have 48 rows. 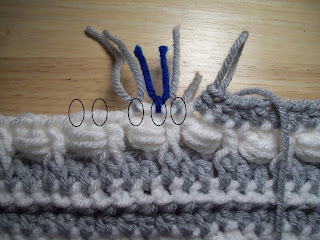 Leave yarn attached, ch 1 and sl st to join using the back loops of the last row made and the un worked loops of the beginning chain row. Do not join too tight as it may pucker. R 7. repeat row 3. If your OCD you may not like the decreasing. 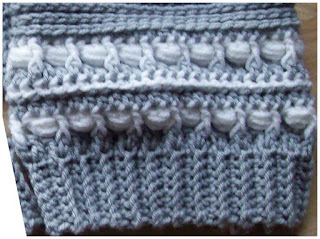 The following rows will be the decreasing for the top shape of your hat or hair bun hat, because we are decreasing over an odd and even number of st's the pattern sequence will get out of order, it's easiest to make the hdc weave as a mirror image of the previous row, by doing a hdc in the front 2 loops into a hdc that was made into the front 2 loops and make the hdc in the 3rd loop into a hdc that was made into the 3rd loop. 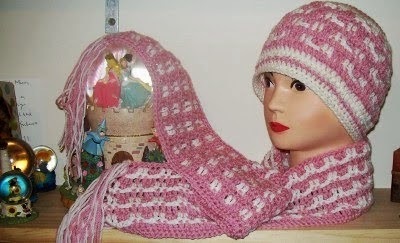 The pattern will still look AMAZING! See photo, you cannot tell there is a difference. R 19. ch 1 *hdc next 2 st's together* repeat from *to* to end break off yarn and weave through remaining st's to close the hole. 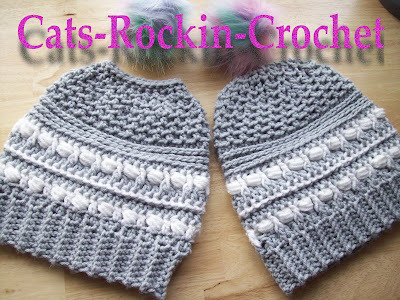 Once your finished make some more! If you like this, you'll love this too! 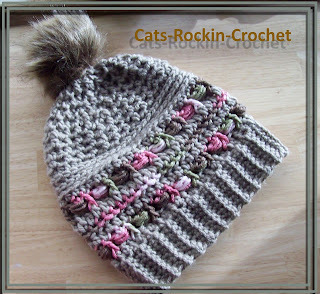 coming soon, using the hdc weave stitch!